Since the Industrial Revolution, manufacturing has been transformative for countries and companies. 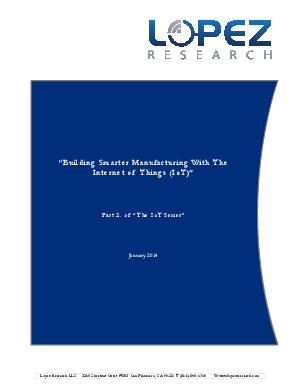 In 2012, the World Economic Forum published a research report titled “The future of manufacturing: Opportunities to drive economic growth.” The research stated, “manufacturing has been immensely important to the prosperity of nations, with over 70% of the income variations of 128 nations explained by differences in manufactured product export data alone.”1 In 2012, The Economist claimed we are entering the third industrial revolution, which is based on the digitization of manufacturing2. Others refer to this as “Smarter Manufacturing”. Read this whitepaper to learn more.